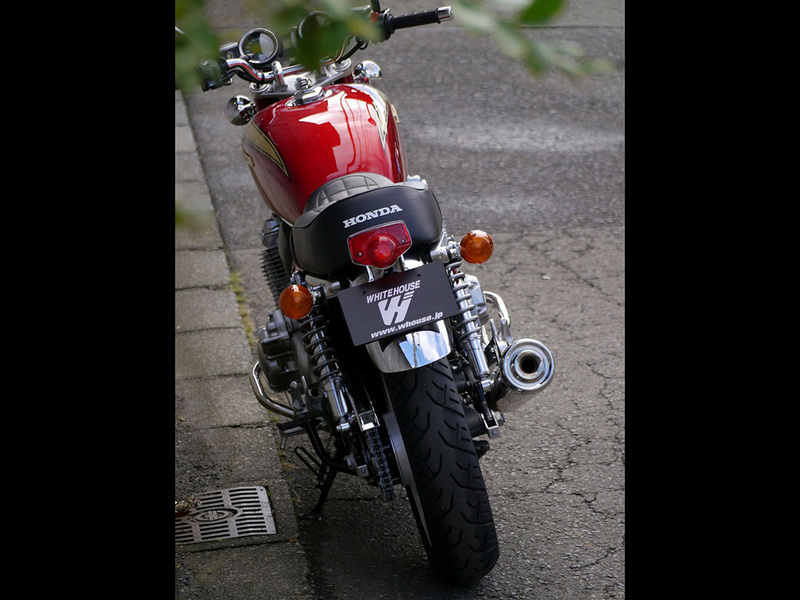 Whitehouse is a motorcycle custom parts manufacturer, whose headquarters is located 30 minutes away from the center of Tokyo by car. 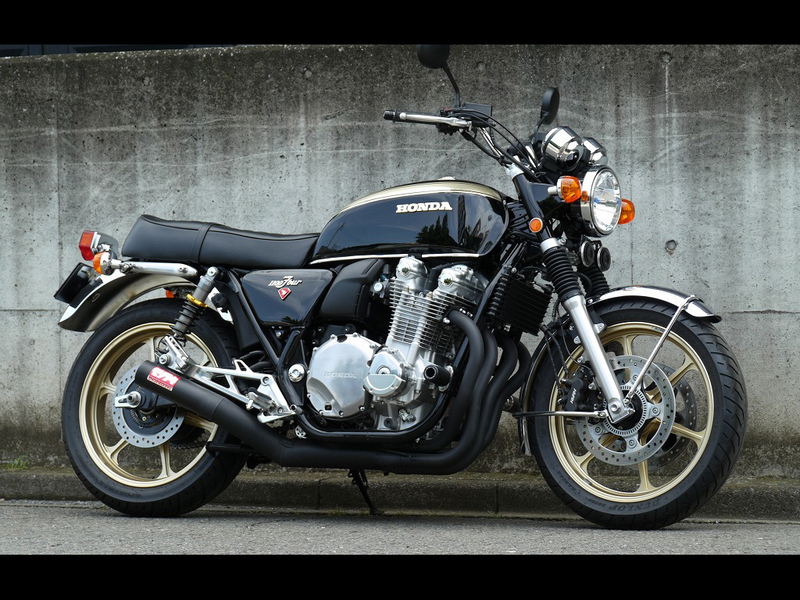 Established more than 30 years ago by Mr.Ukai who had designed at Honda, we excel in designing custom complete motorcycles by using commercial ones. 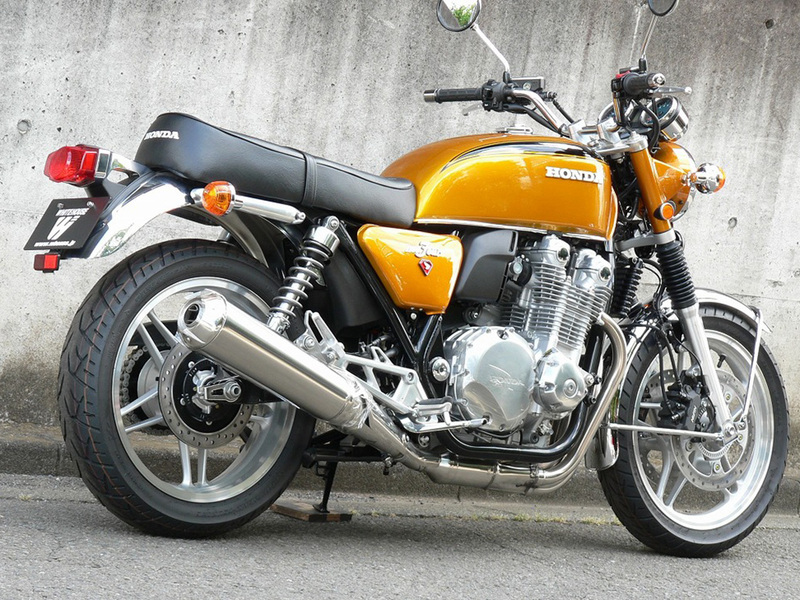 Since then, his talent has become well-recognized, and now Mr.Satou serves as head of Whitehouse. 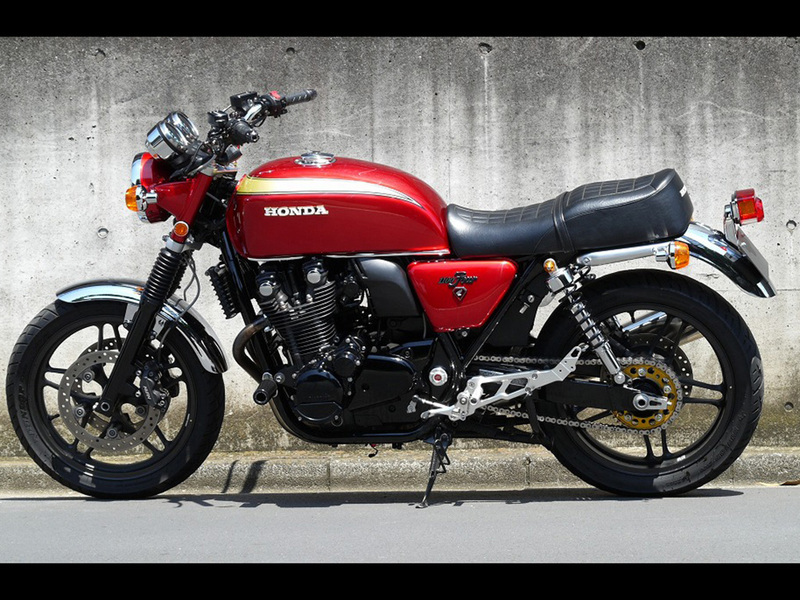 One of our work designed in the past is valued at the premium price of around 3 million yen, which exceeds the sales price at that time. 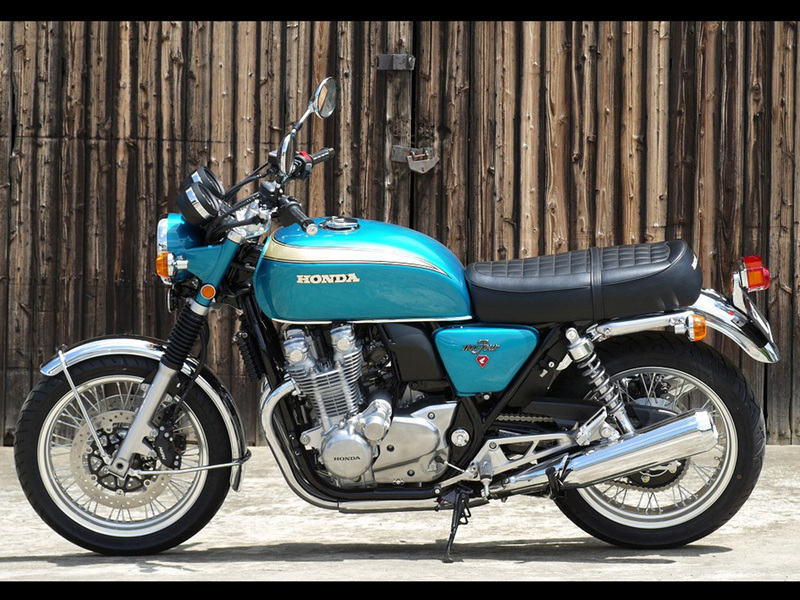 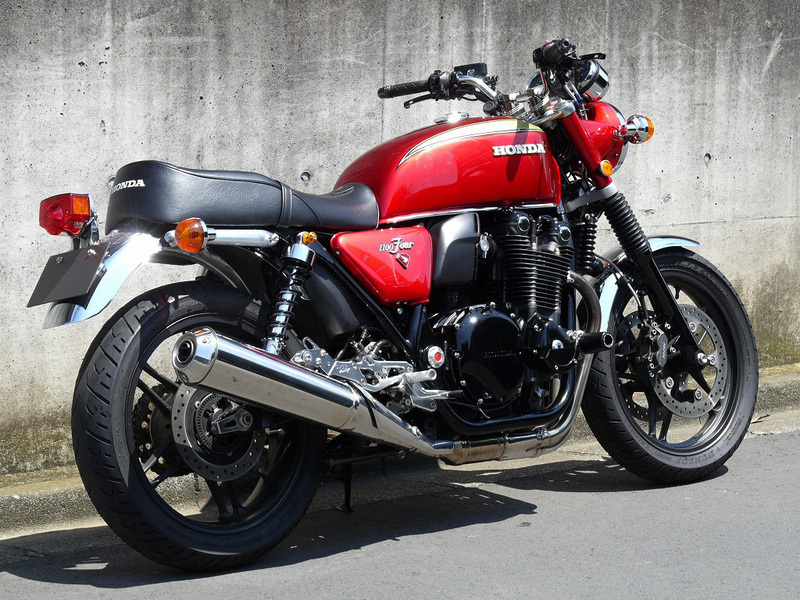 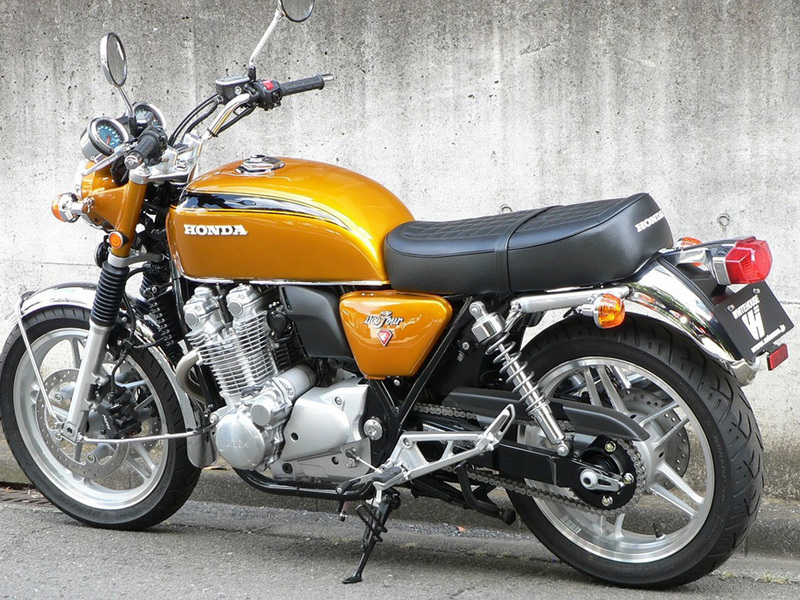 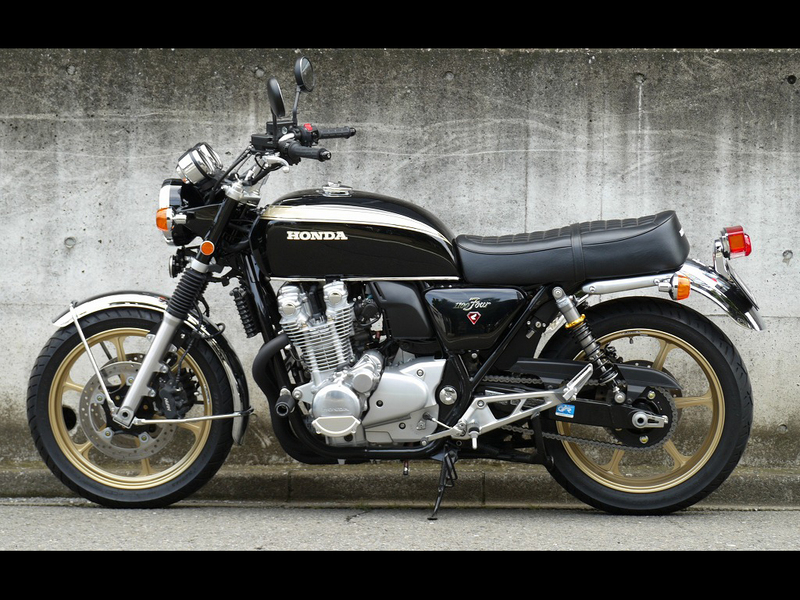 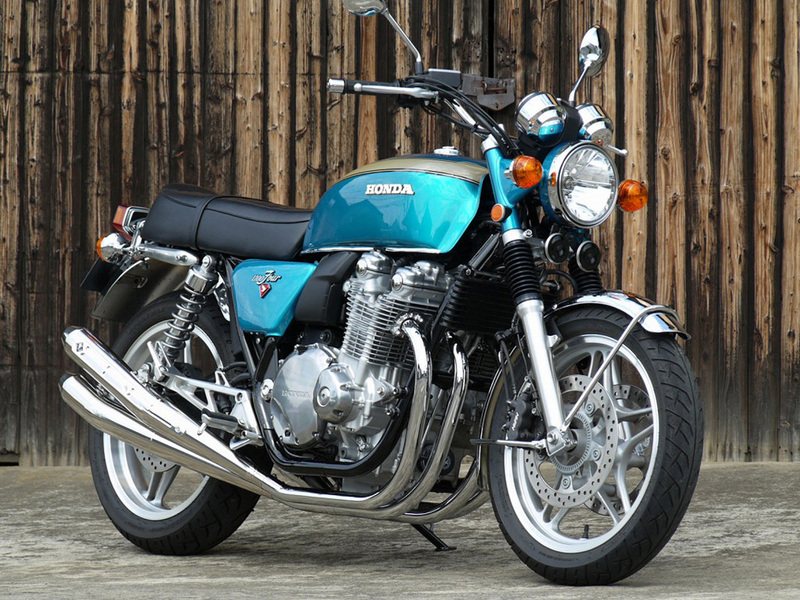 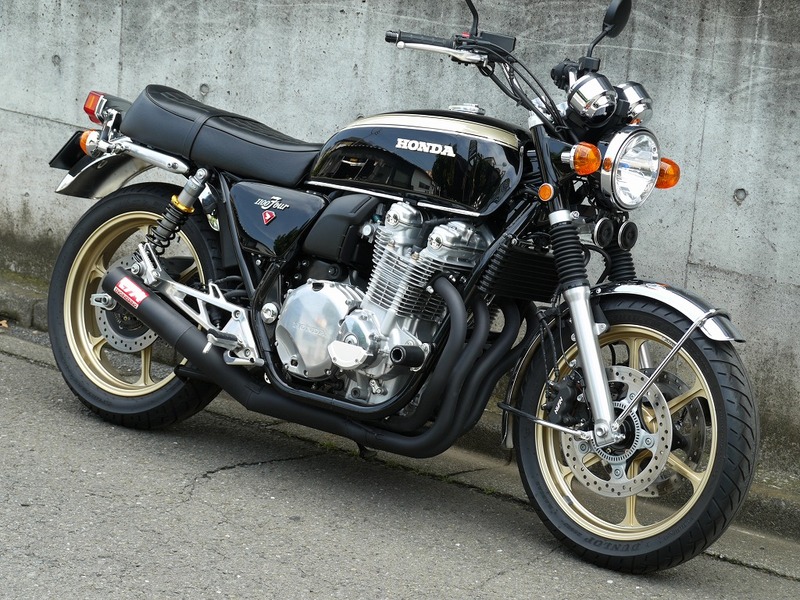 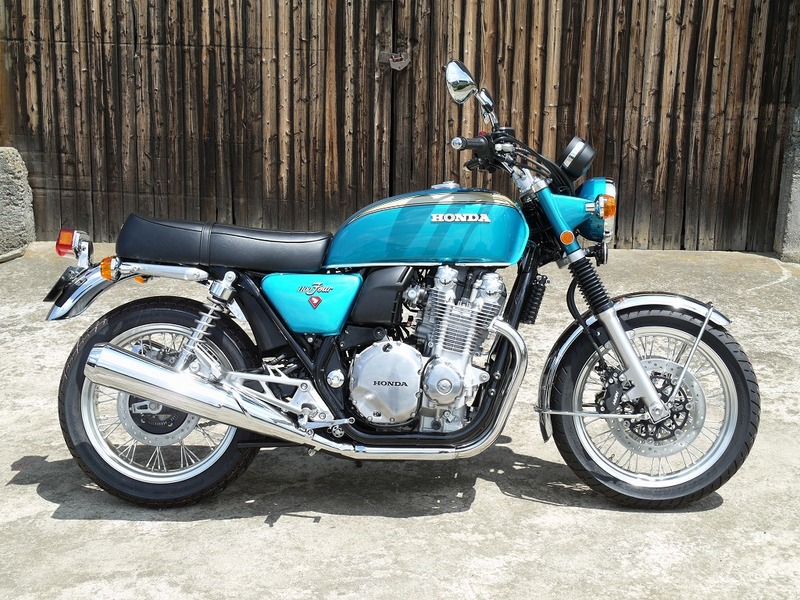 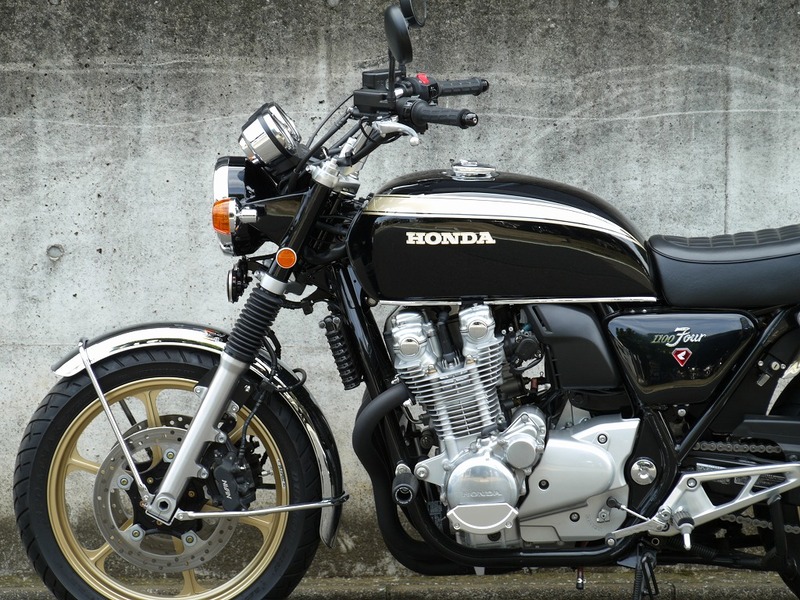 CB1100-base K10 produced in 2010 has been well-received and about 200 of it have been already sold in Japan. 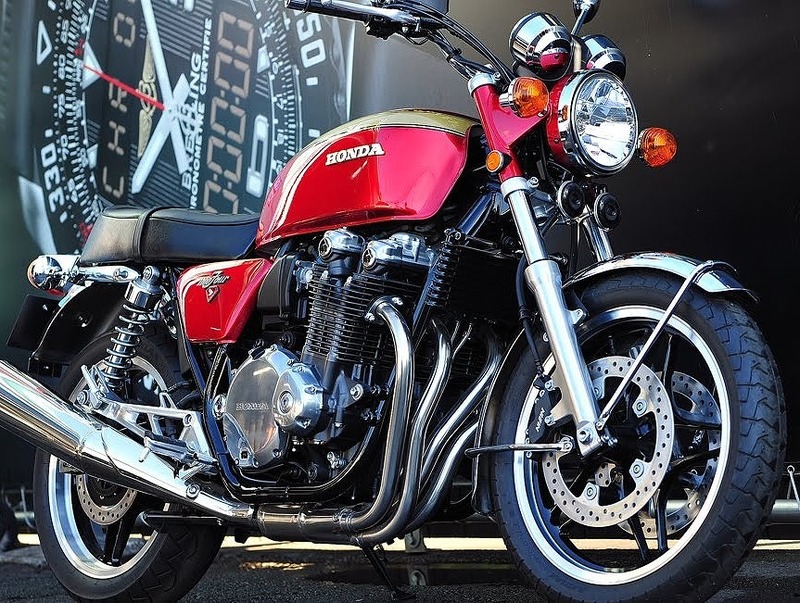 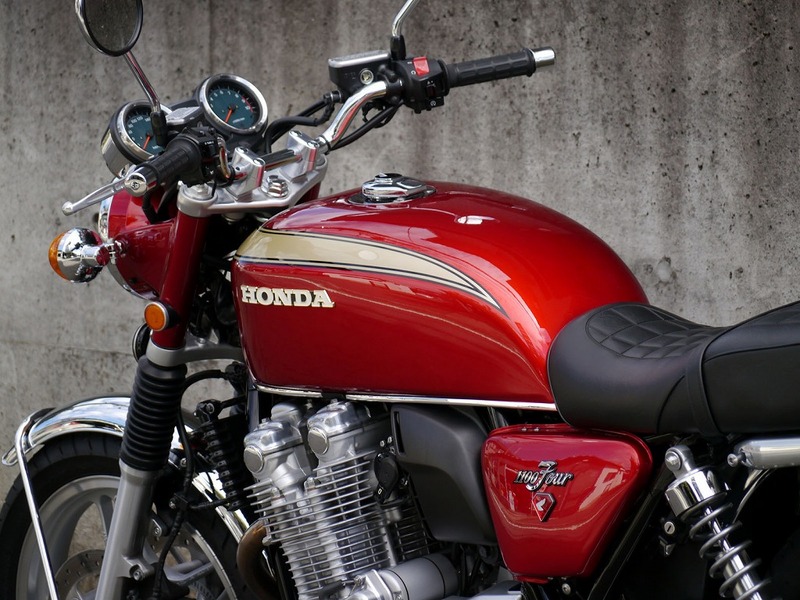 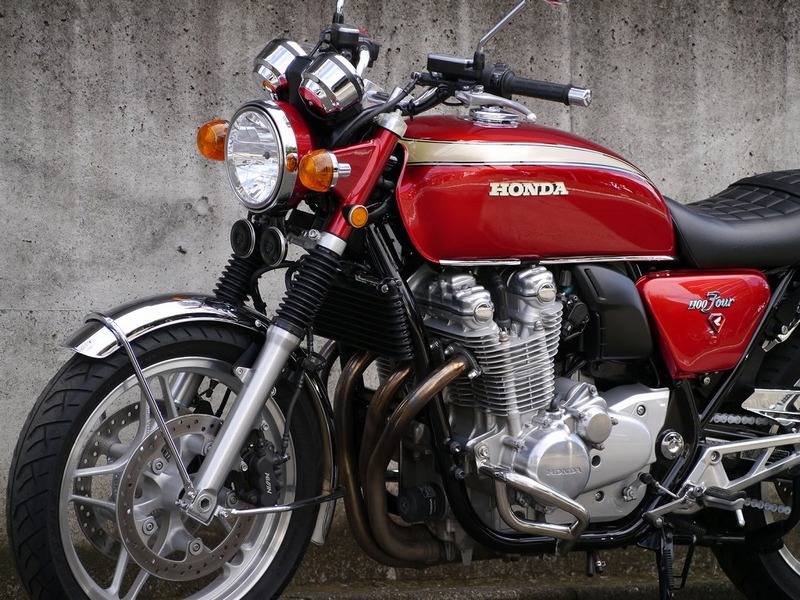 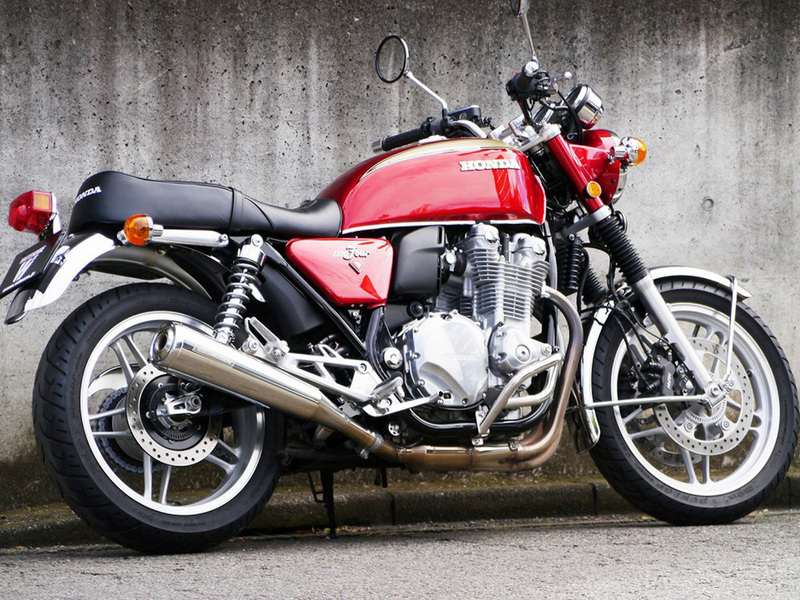 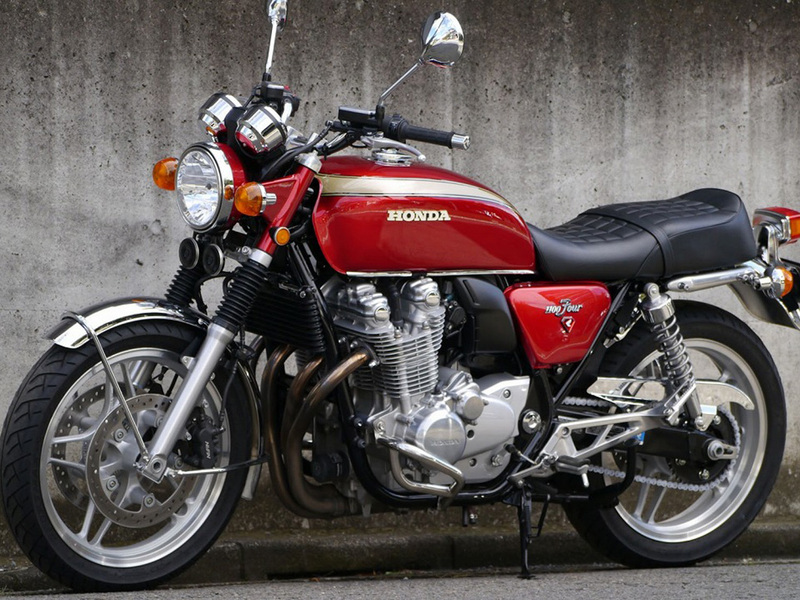 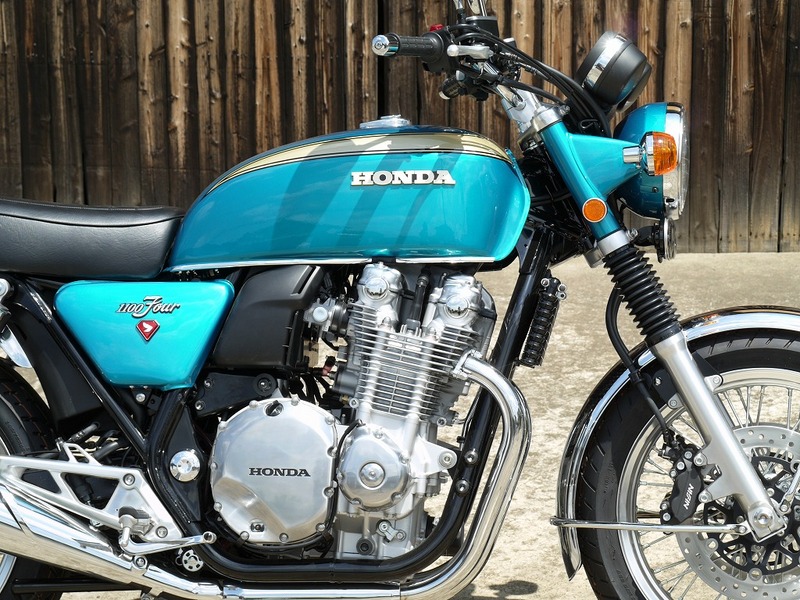 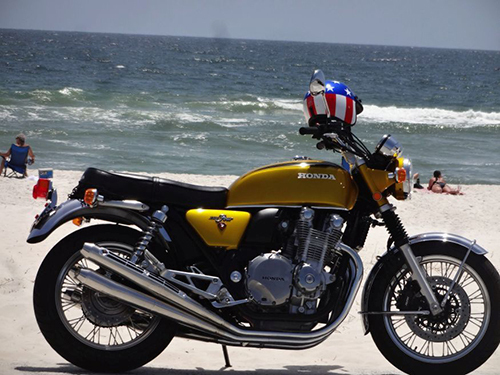 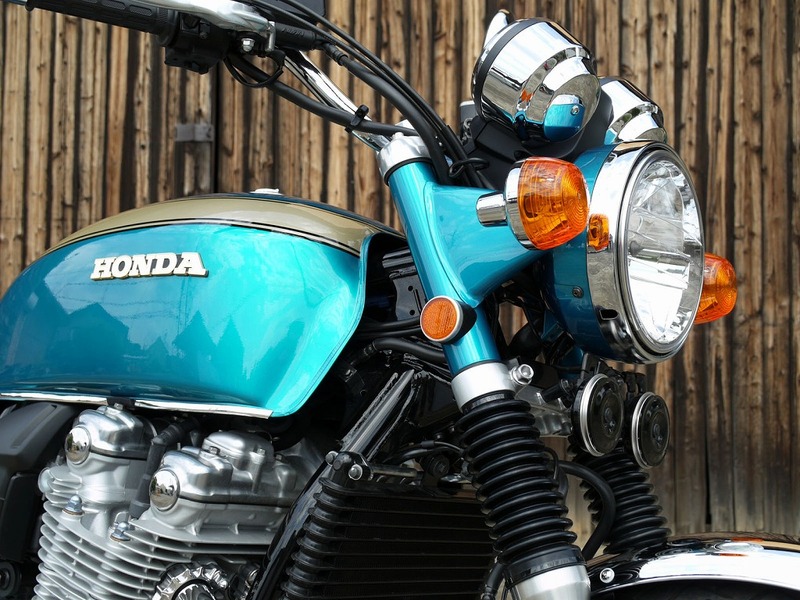 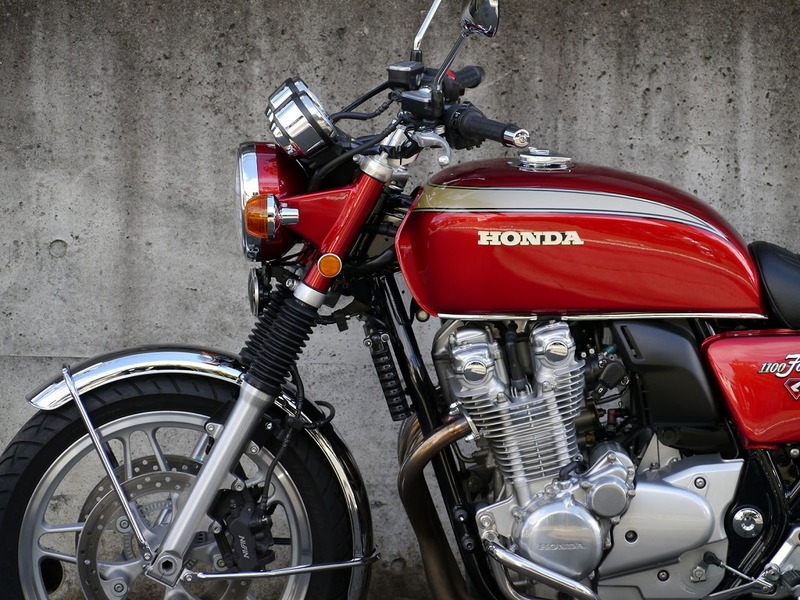 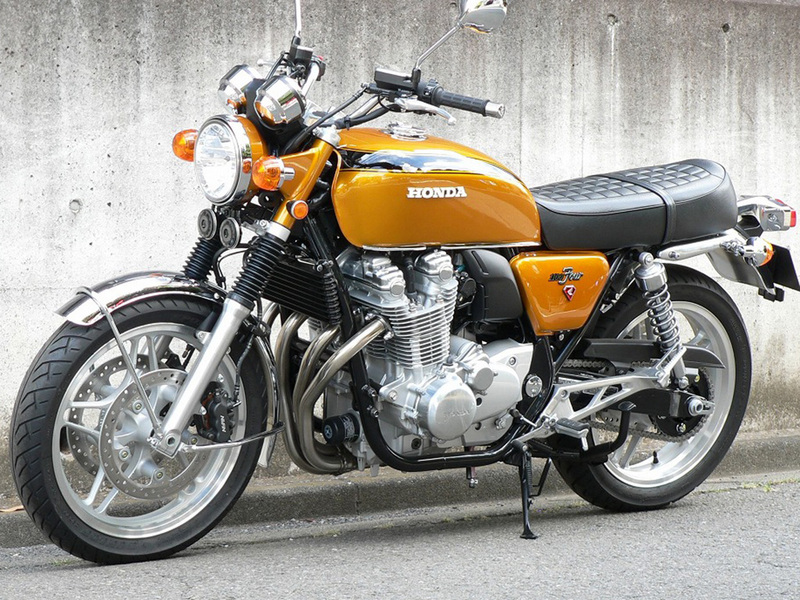 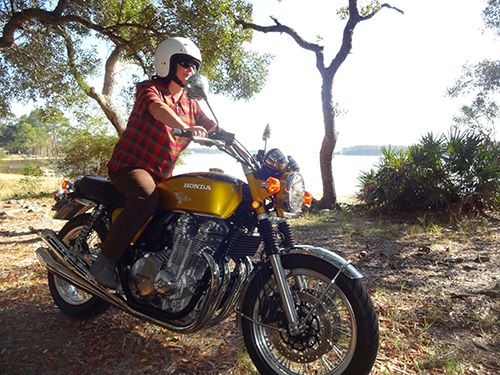 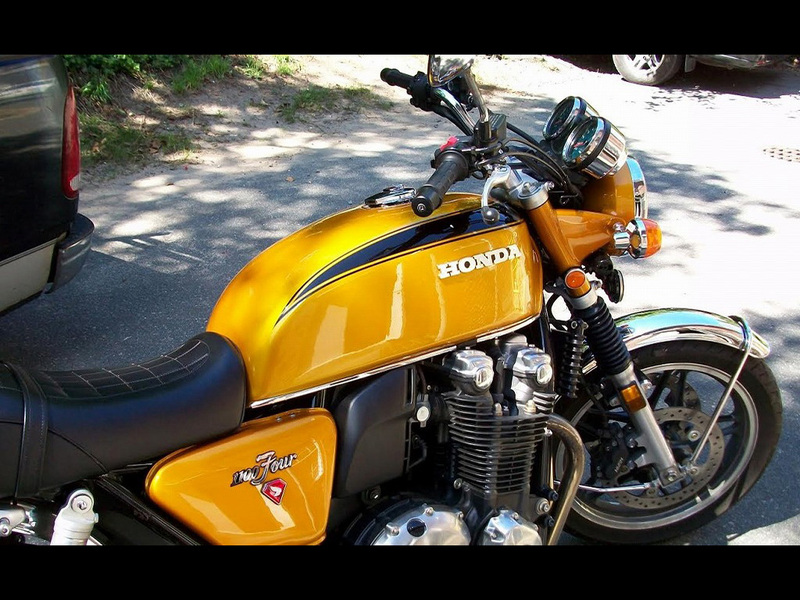 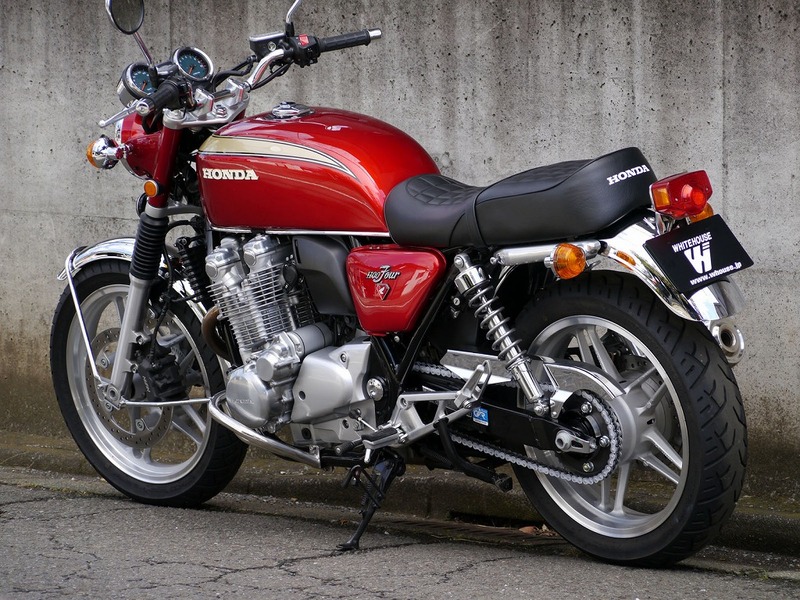 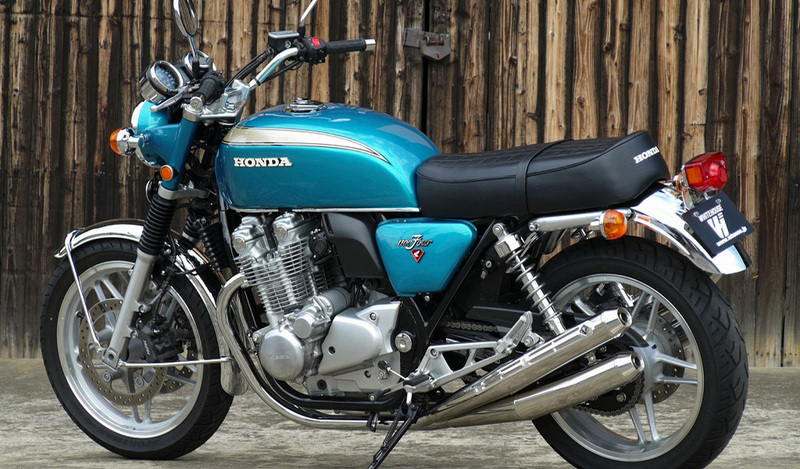 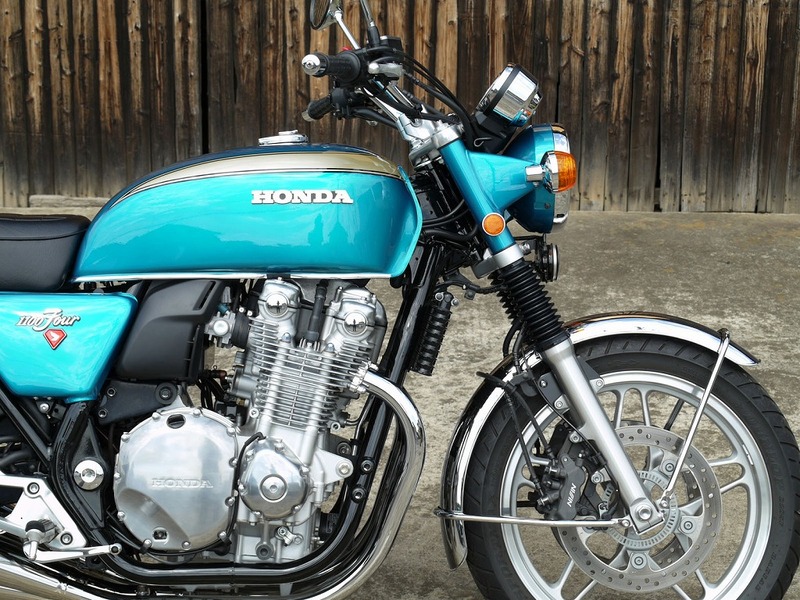 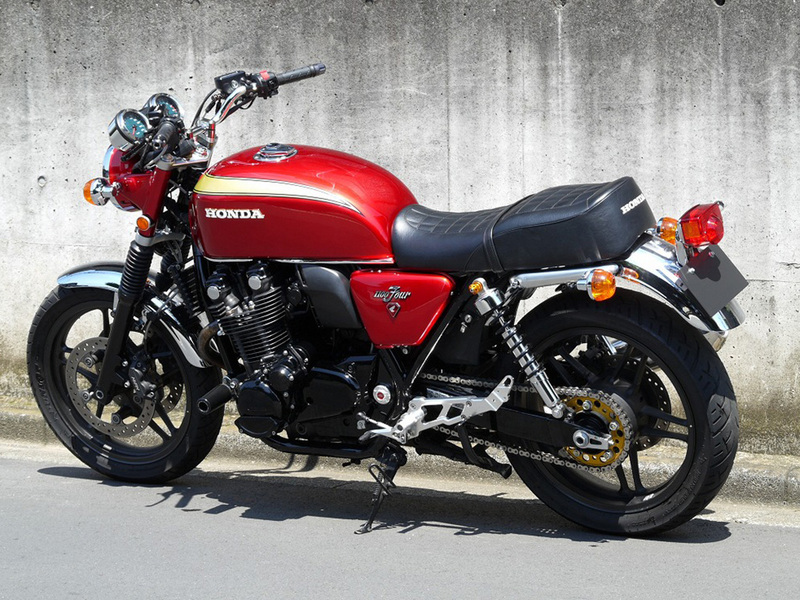 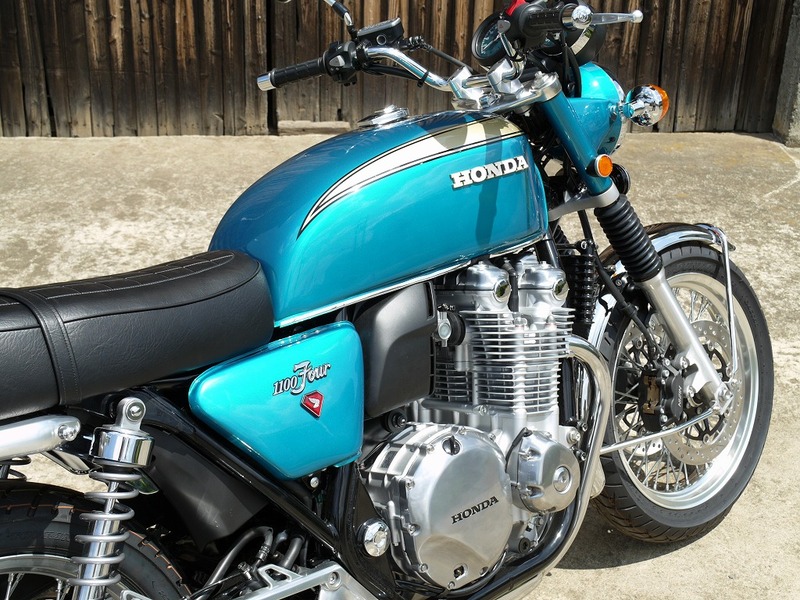 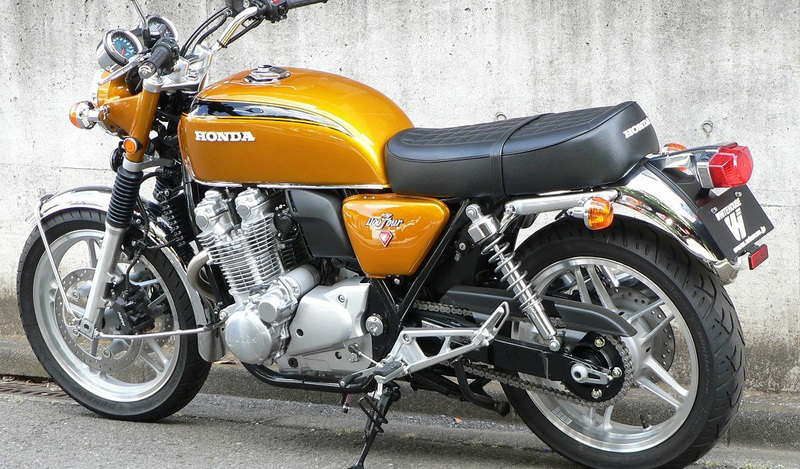 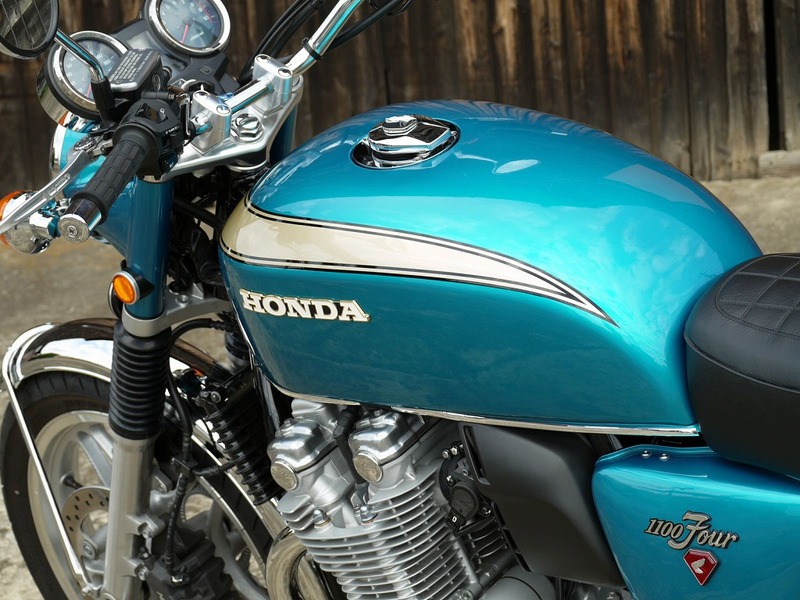 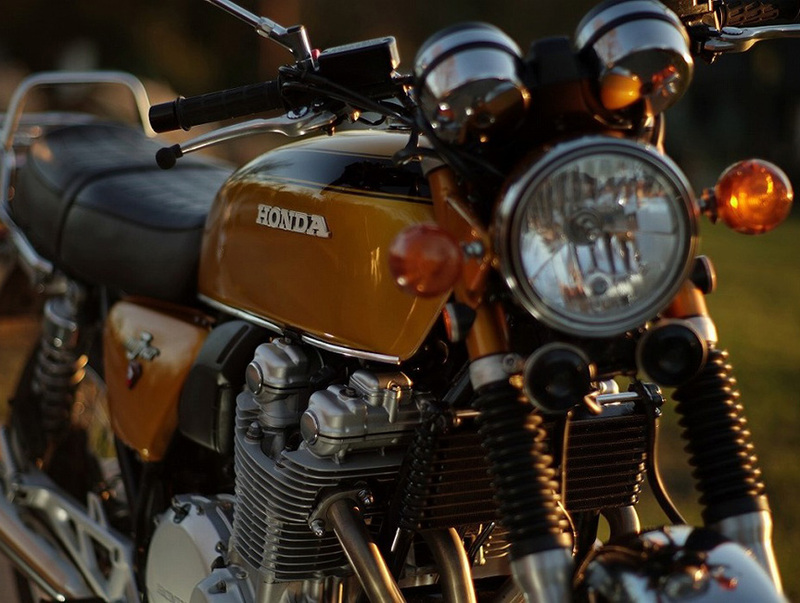 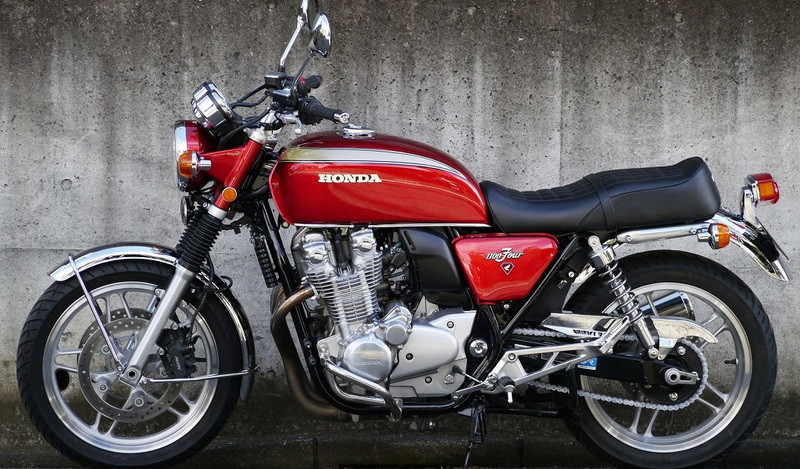 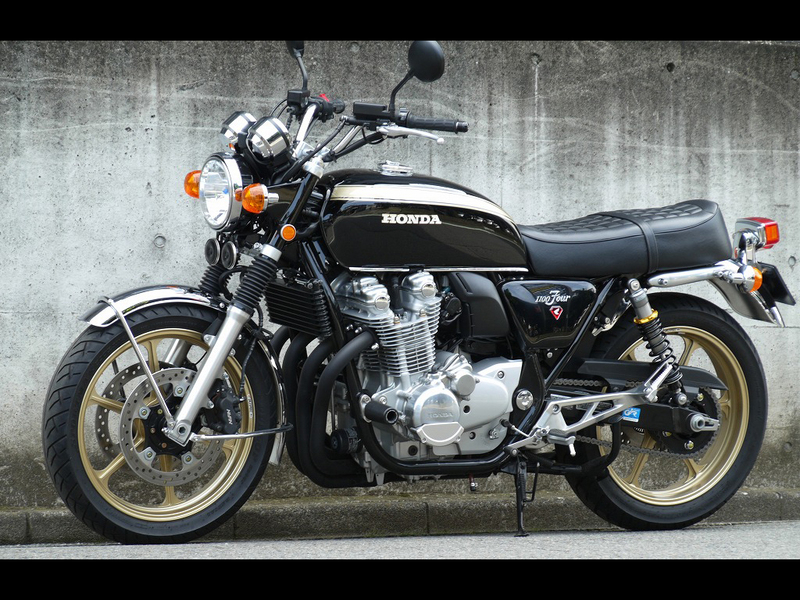 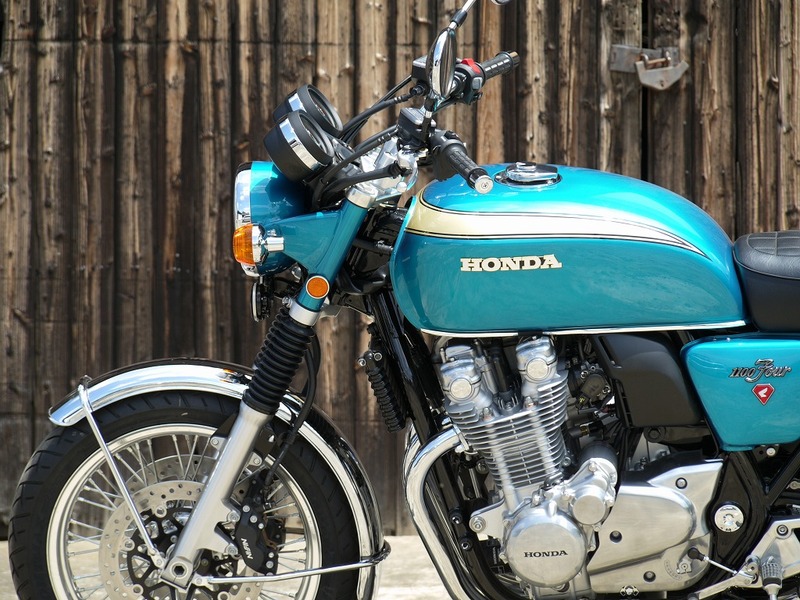 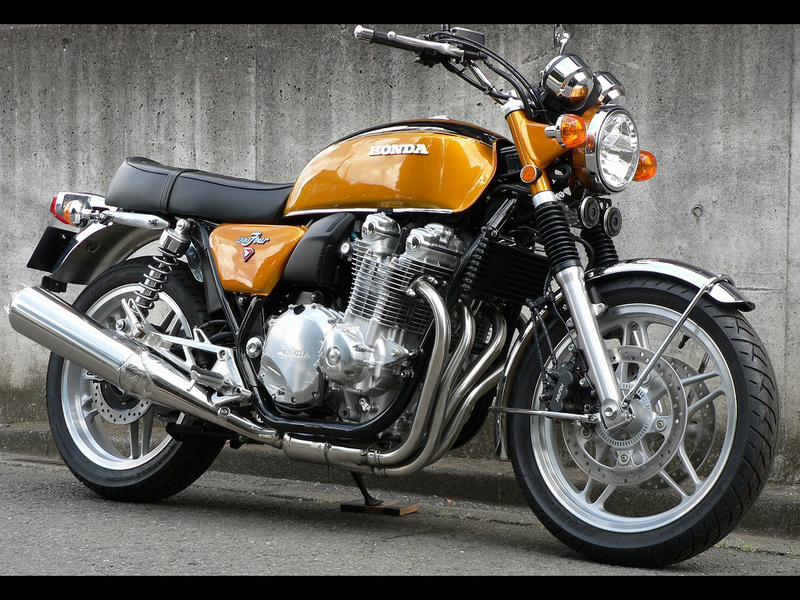 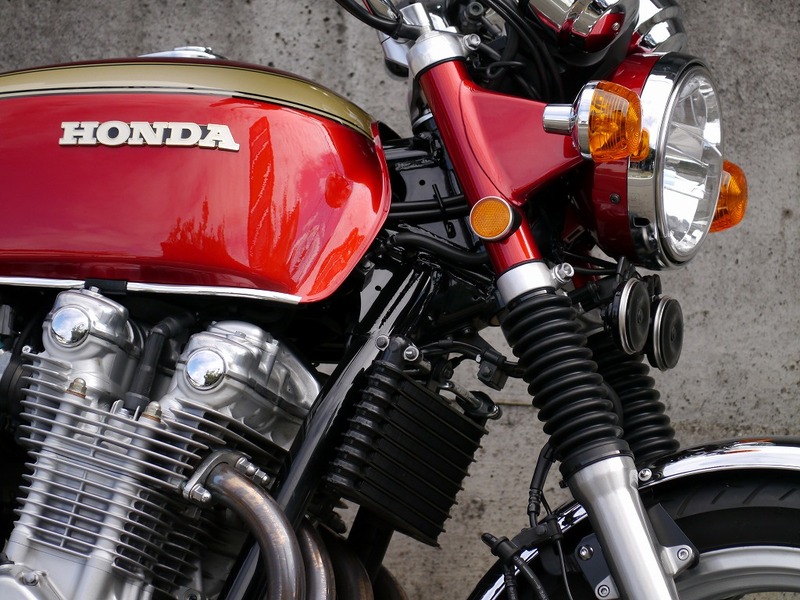 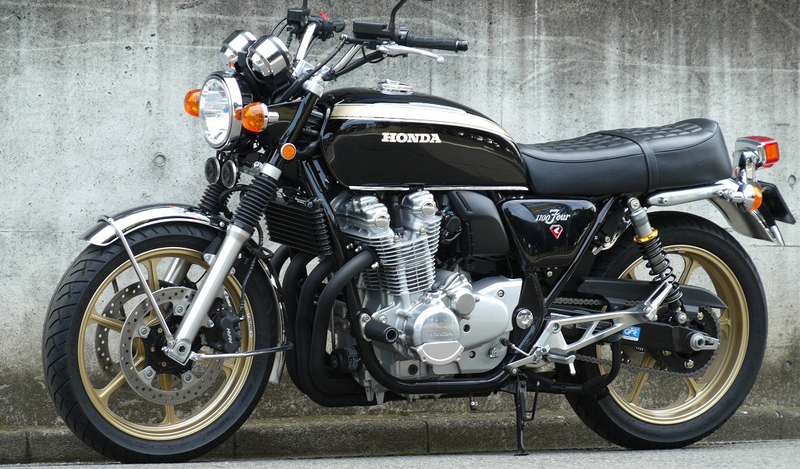 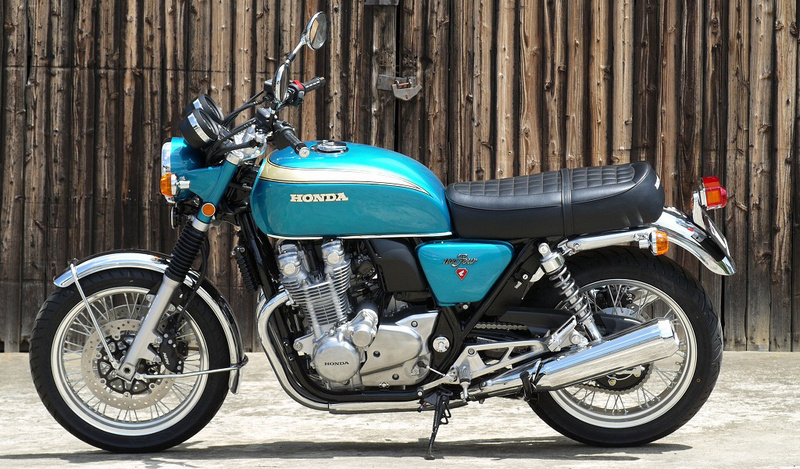 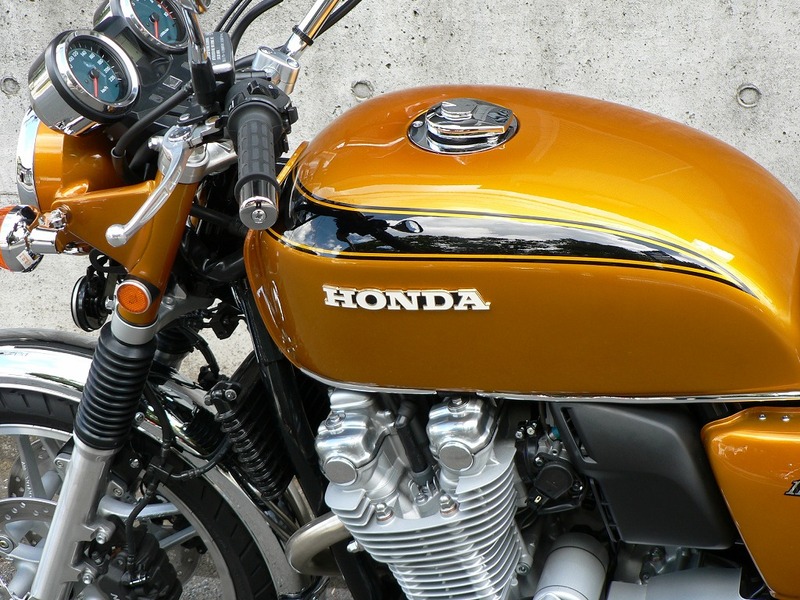 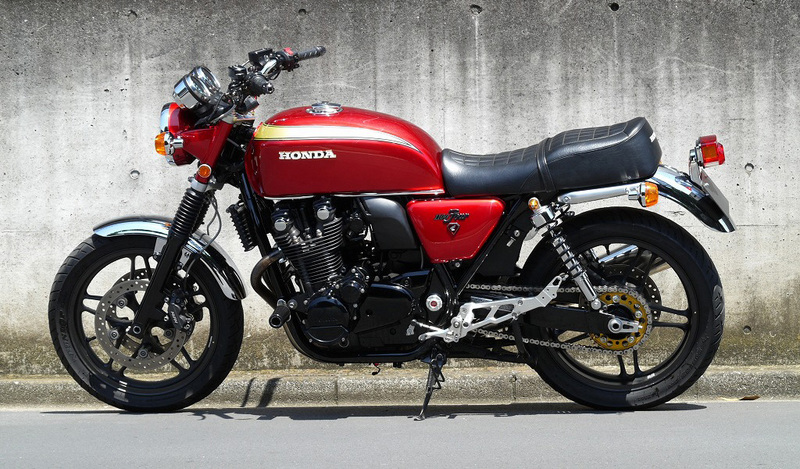 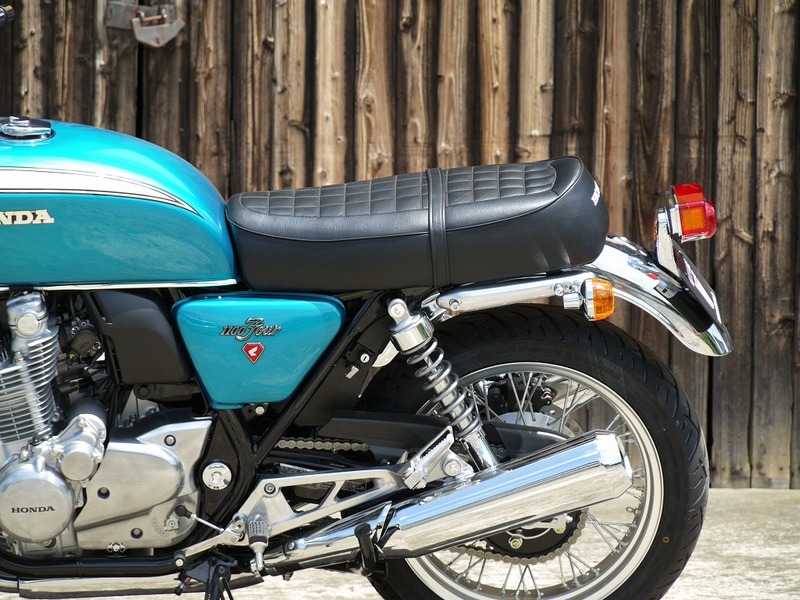 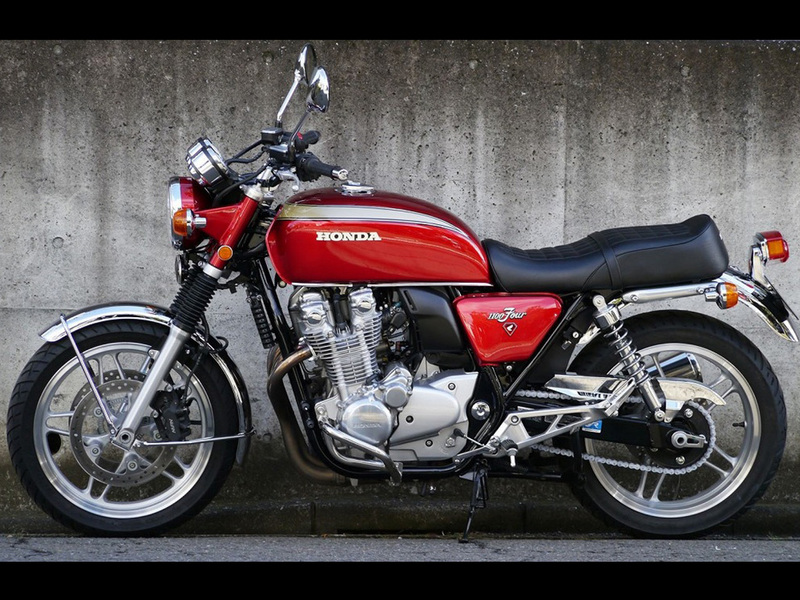 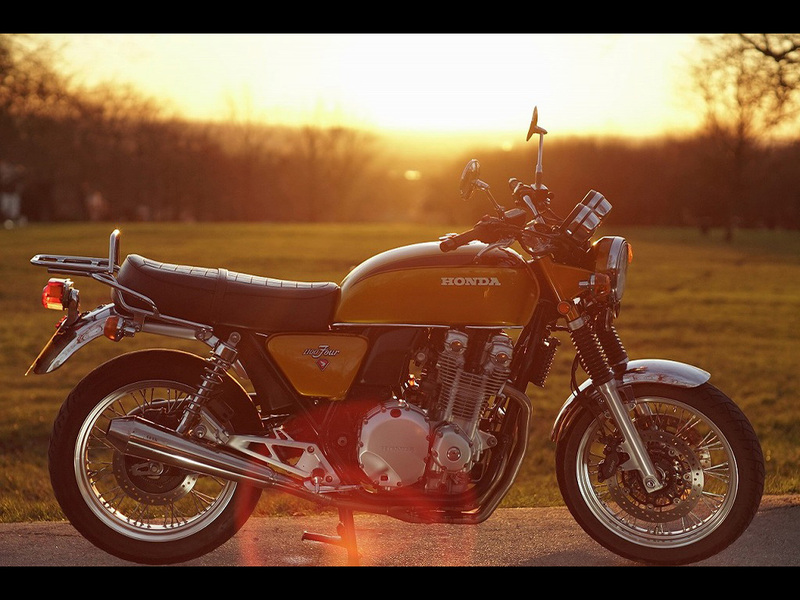 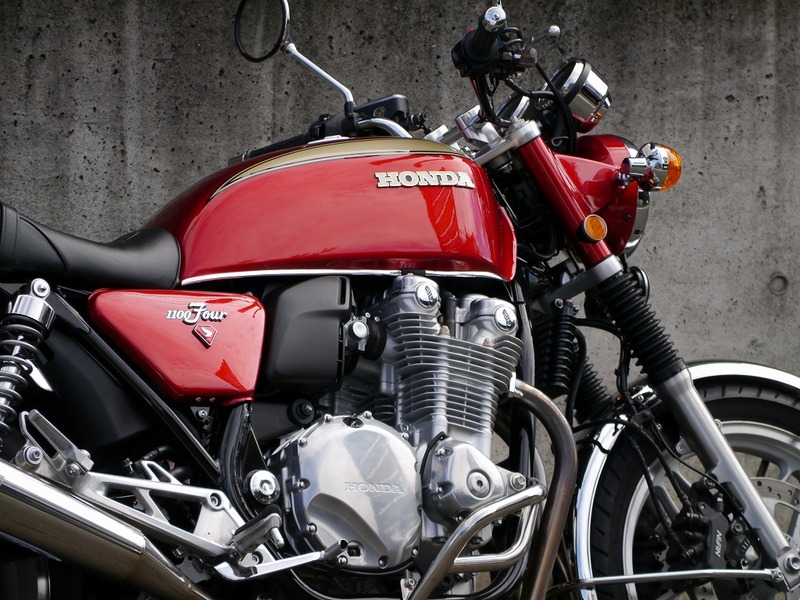 Honda’s big bike, CB1100, is an easy-to-ride and high-quality popular model. 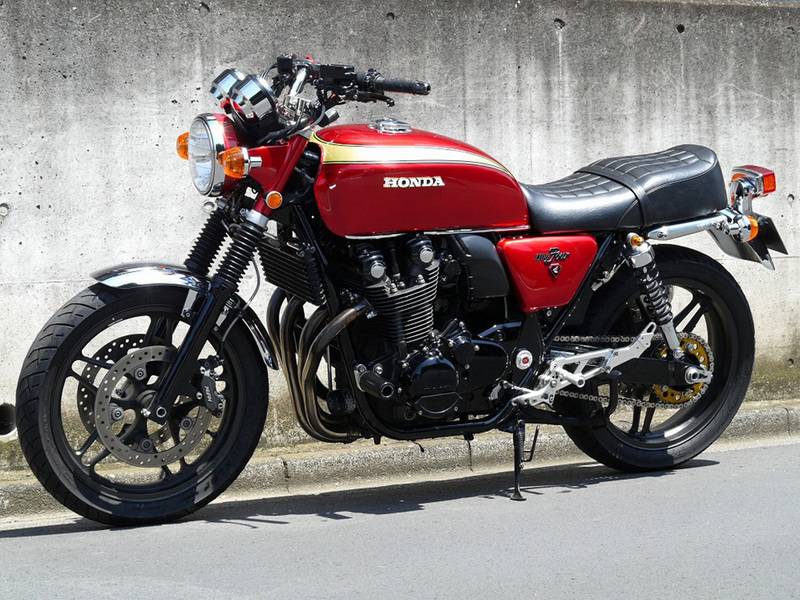 They brought back the genes of old “K Series” loved in the 70s into the present once again, and pursued the body shape that the generations who had once wanted and dreamed it hoped to own and drive that coolness again. 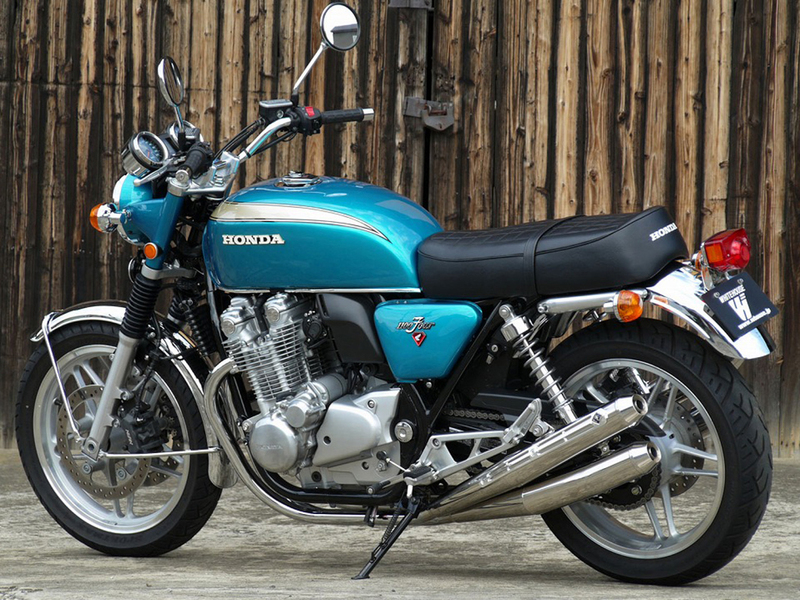 By combining their legend “K” and “10”, the completed year “2010”, we named it “CB1100 four K10”. 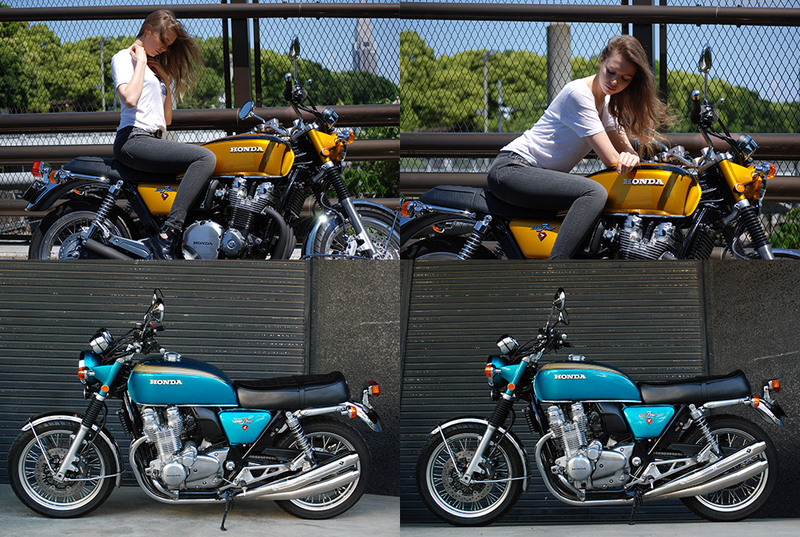 K10, precisely reproduced CB750K which still have strong fans worldwide. 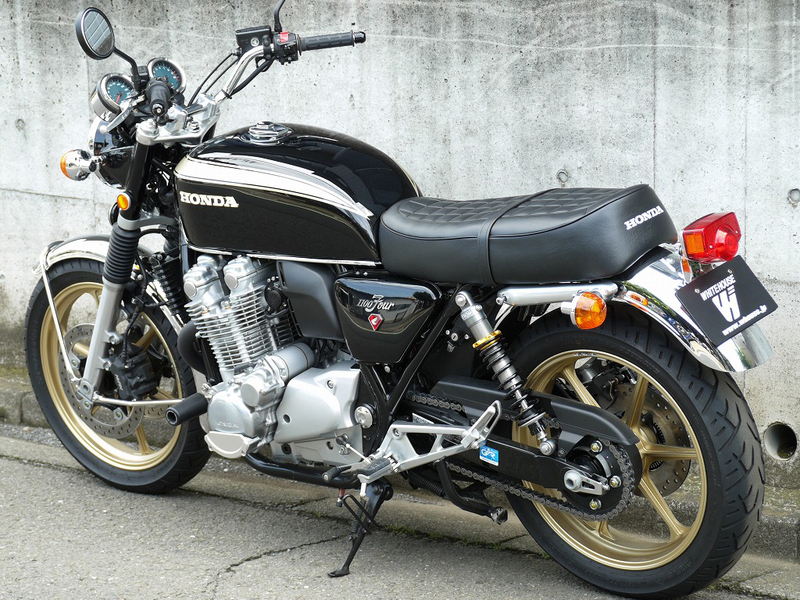 It offers pleasure of riding of course, but just looking at it is fun too. 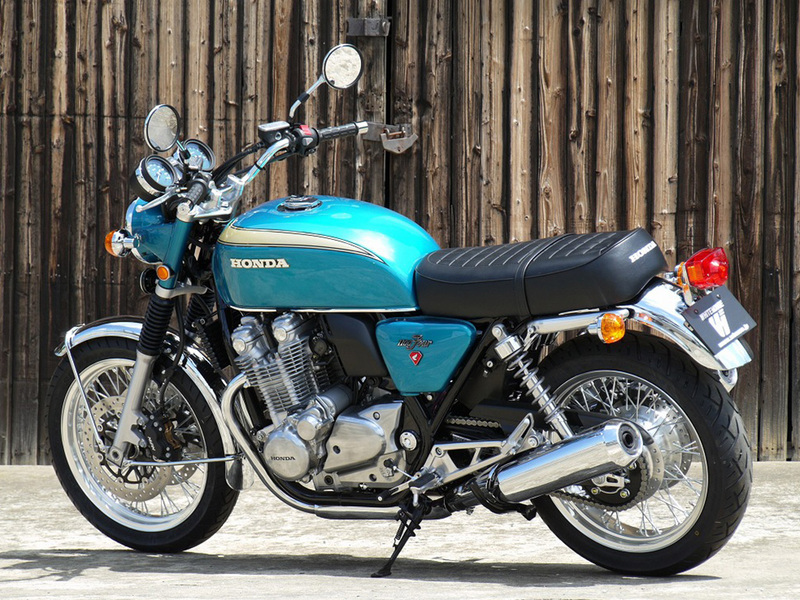 Its quality created great response not only within Japan but also to foreign motorcycle magazine editors, who visited us to cover it all the way from their countries after having heard its reputations. 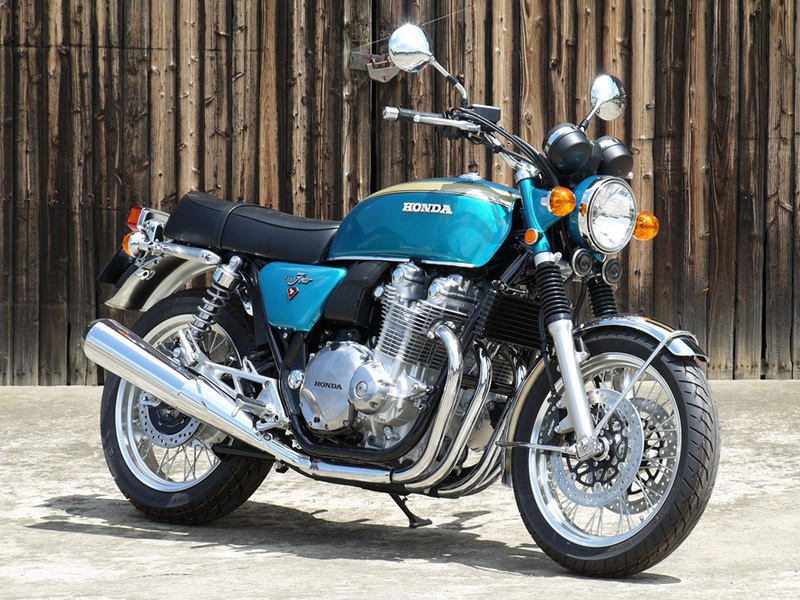 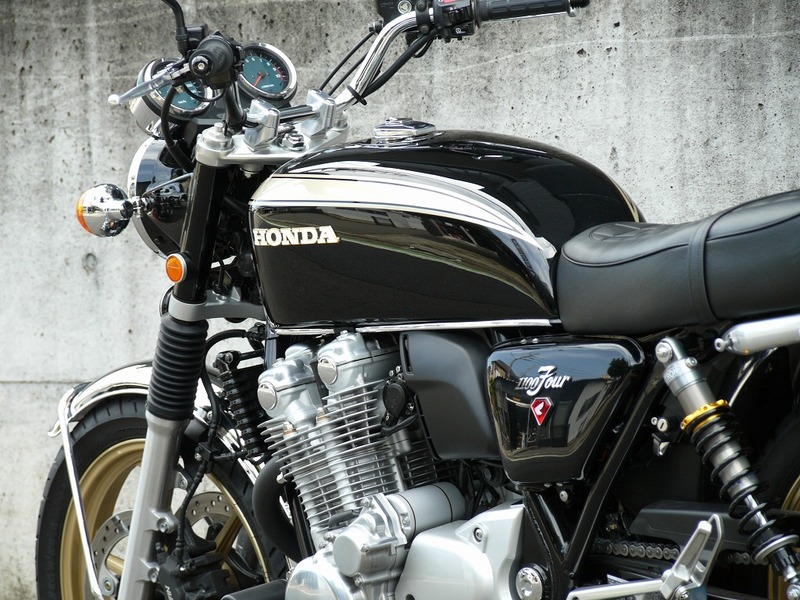 CB1100 Four K10 Front Fender:63000-Yen *High-end three layered chrome plating.Classic and elegant style. 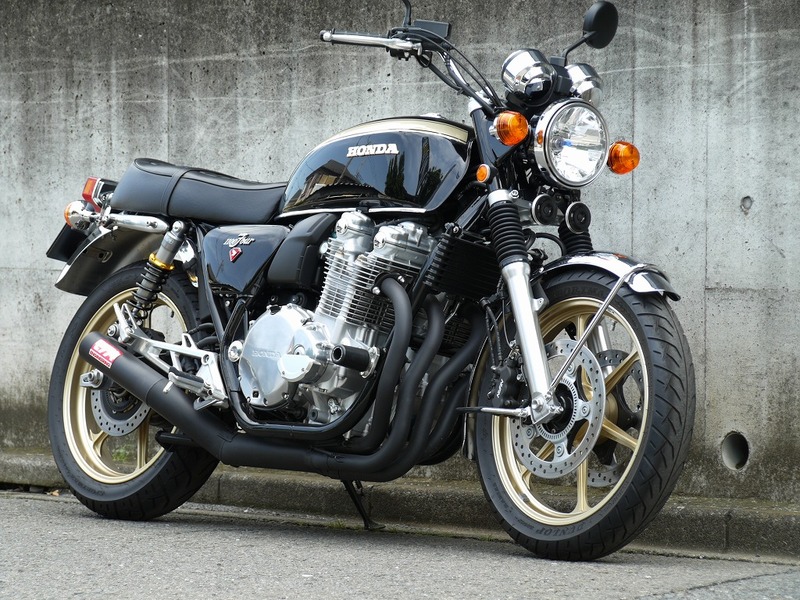 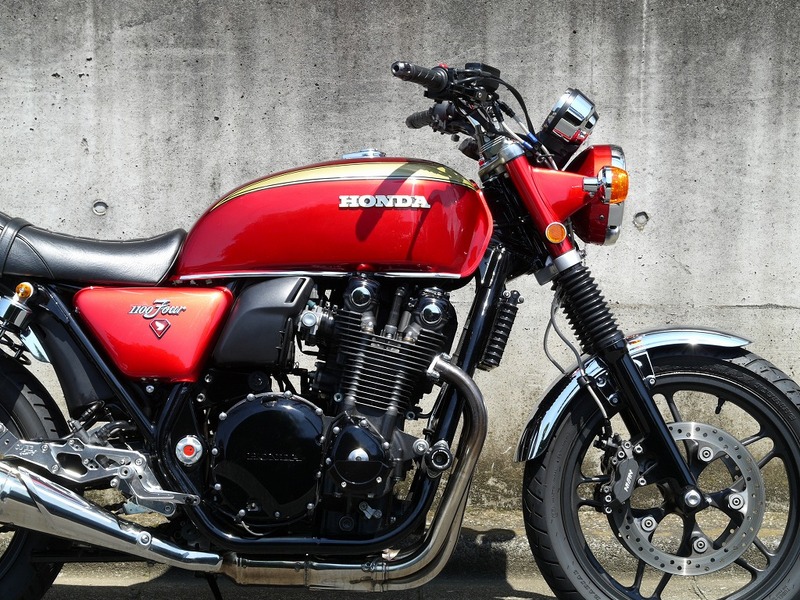 CB1100 Four K10 Side covers:55000-Yen *Premium Paint:32000-Yen, Including emblems. 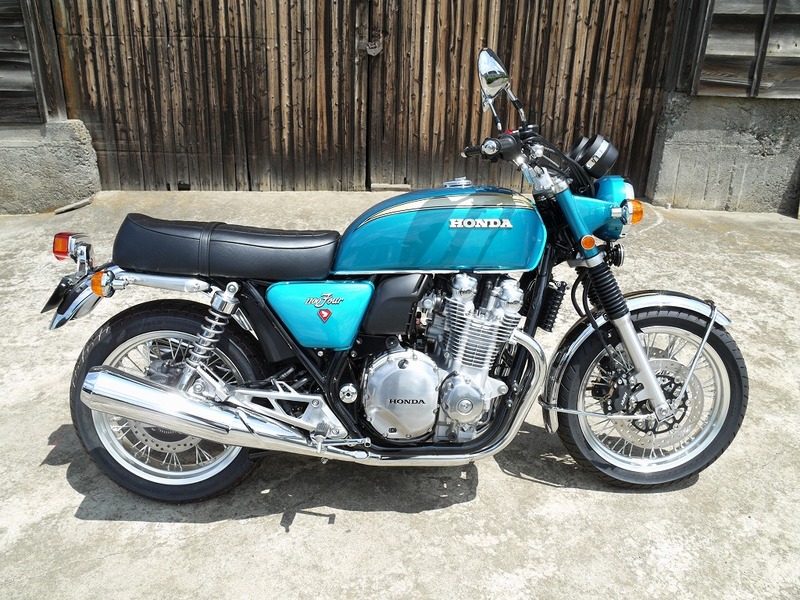 CB1100 Four K10 Taillight:28000-Yen *including wire harness, mounting bolts. 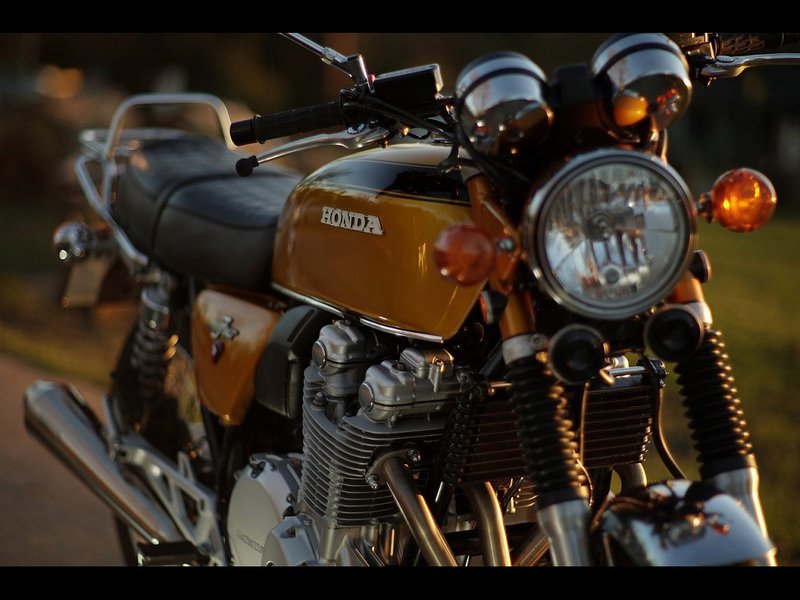 Side reflector build in type. 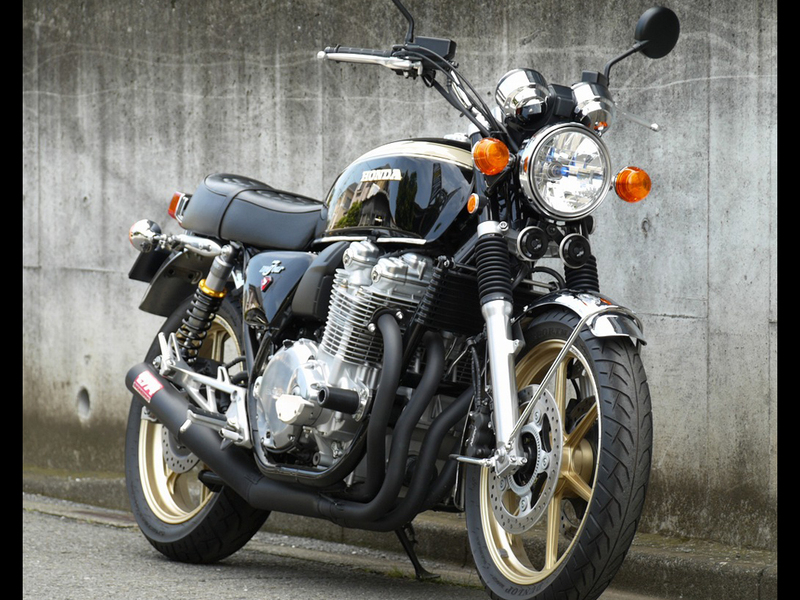 CB1100 Four K10 Fork Bellows:16000-Yen *High durability Silicon Rubber. 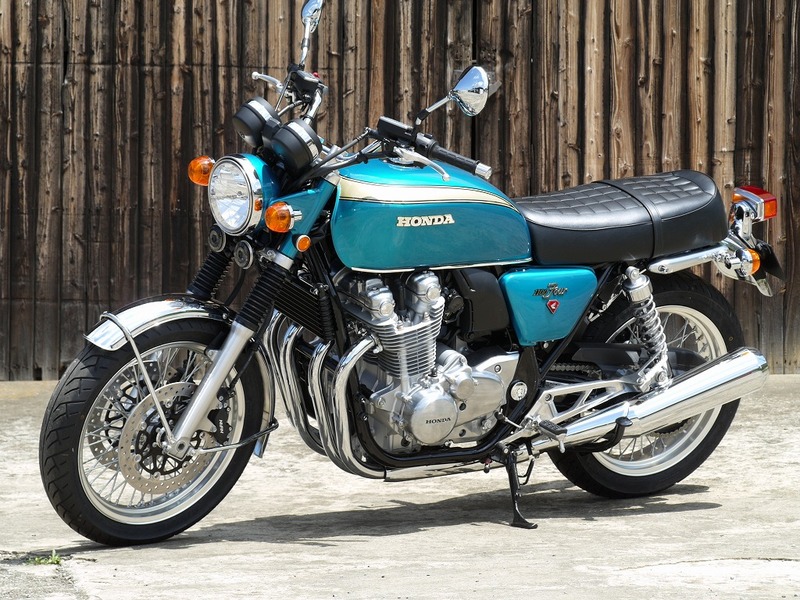 CB1100 Four K10 Turn Signals:32000-Yen *CB750 Four type. 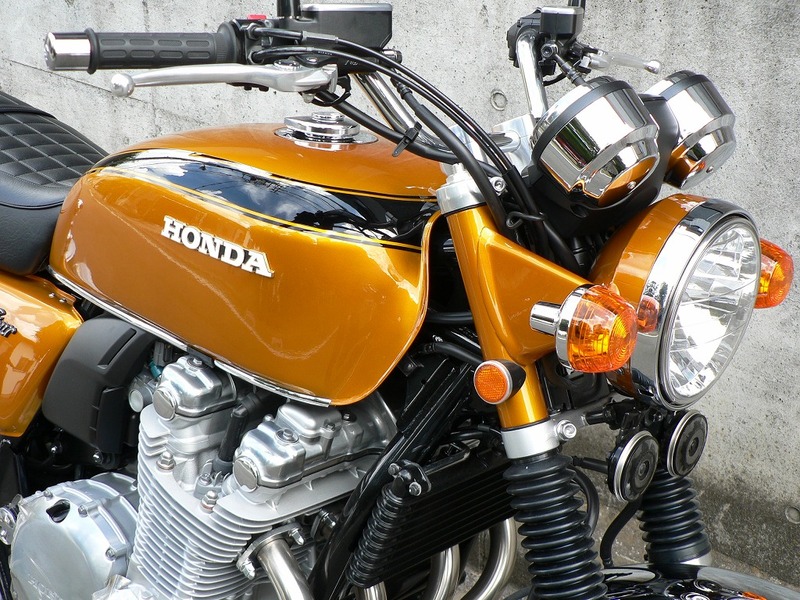 CB1100 Four K10 Headlight Brackets:65000-Yen *Premium Paint:19000-Yen *including reflectors. 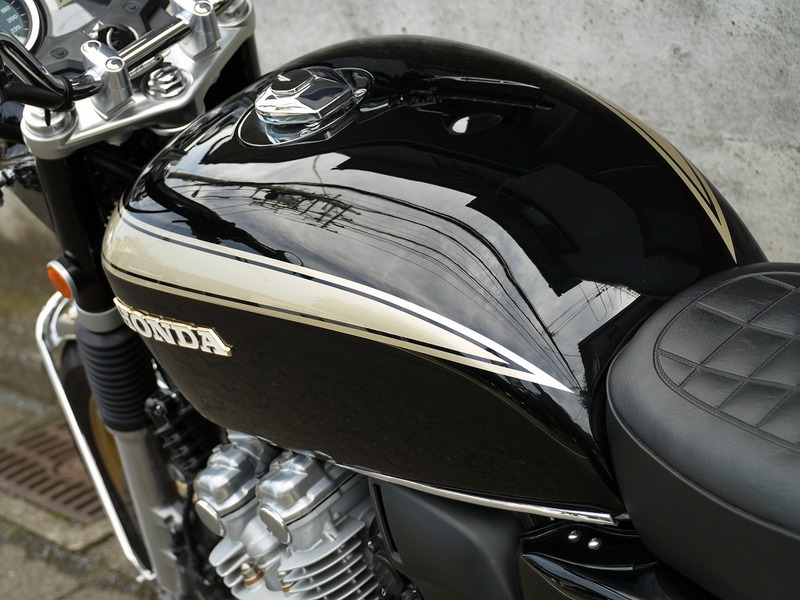 Head light bucket:25000-Yen *including Premium Paint. 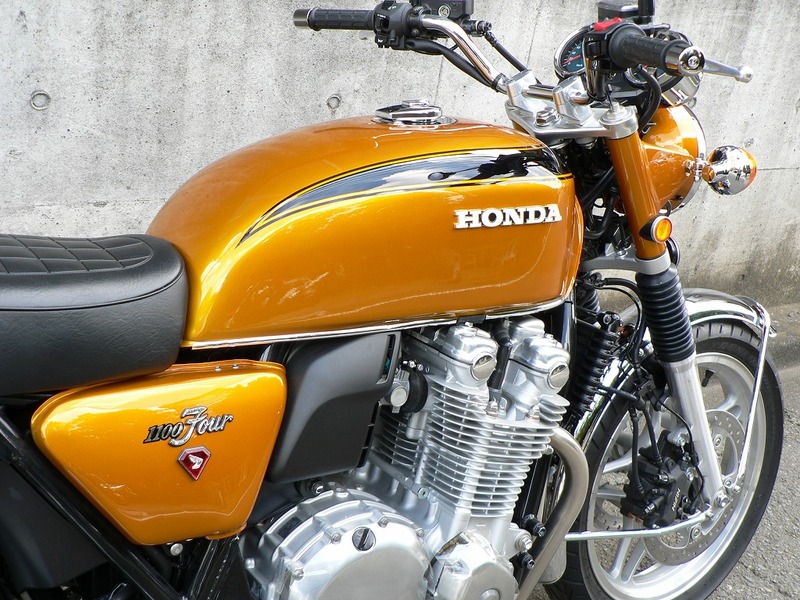 *Metallic Silver,Metallic White,Metallic Orange are available.